Dino sweaters and chic coats and party dresses, oh my! 1. A knockout velvet gown so soft and luxe, it'll actually feel like you're wearing your coziest robe to a party while still looking hot. I bought this and am planning on wearing it to a holiday party, and TRUST — I was shocked by how comfy it was when I tried it on. 2. A classically festive sweater with a prehistoric twist that's so cute I'm now extinct. 3. And some Christmas dino earrings to go with it, because the best gift you could possibly give your lobes are some little brachiosauruses in Santa hats, duh. 4. A funky cardi you should definitely buy now, so you don't have to worry about color-blocking off time in your busy holiday schedule to buy perfect winter weekend wear later. 5. 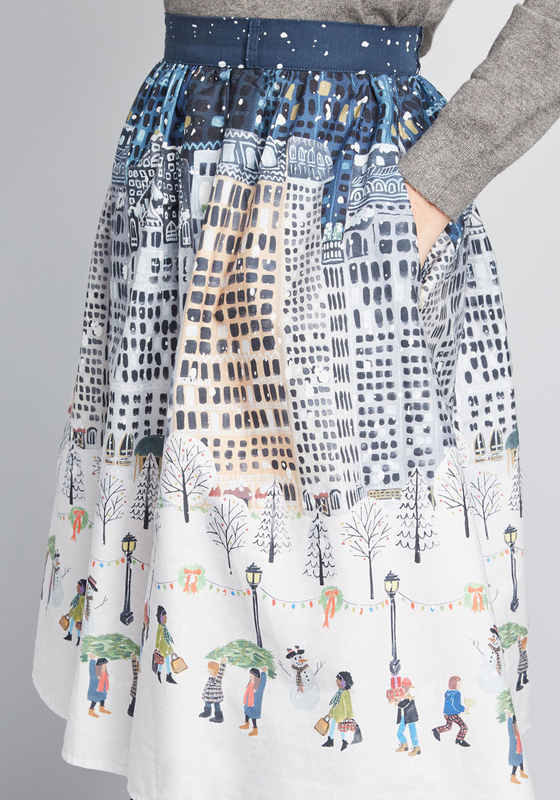 An aww-worthy skirt depicting folks running their errands on a beautiful snowy day, so you can get that wintery feel even if you live somewhere where the temps rarely drop below 50. 6. Glittery Hanukkah socks you may want to get multiple pairs of, so you can rock them all eight nights and beyond. 7. A bow-embellished chenille sweater to remind everyone that your very presence is the best gift they will receive this holiday season. 8. A tweed-skirted, long-sleeved number that's not a regular work dress, it's a cool work dress. 9. 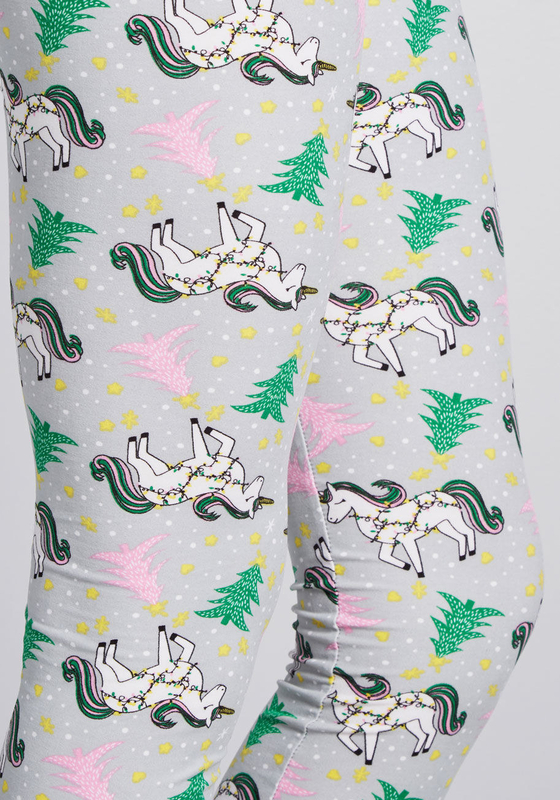 Holiday unicorn leggings bedecked with trees and mystical friends sporting string lights, because they only thing that could possibly be better than unicorns is CHRISTMAS unicorns. 10. And a plaid and floral pair to take your leggings-and-a-sweatshirt winter uniform up a notch. 11. A knit swing dress that'll be just as great with tights and boots now as it will be with bare legs and sneaks come spring. 12. Art deco-inspired earrings to add a finishing touch to every look from now through NYE, and even into 2019. 13. 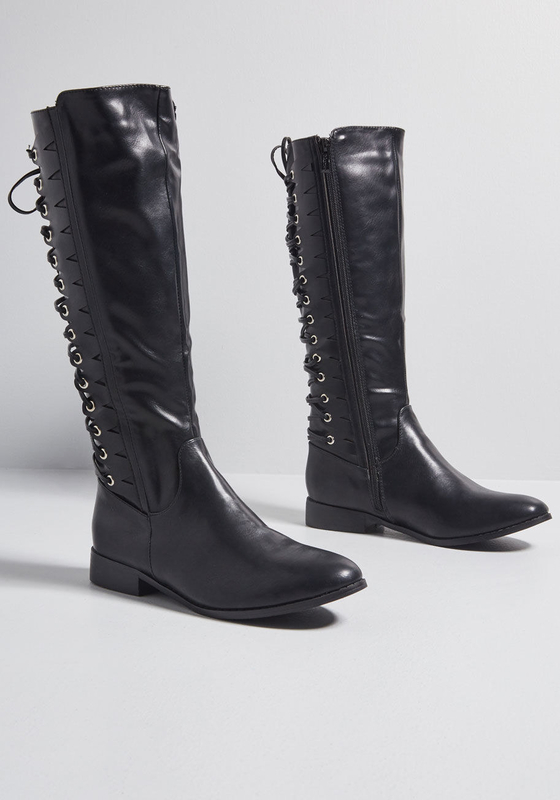 Black riding boots with laced detailing that'll have you all cor-set to go anywhere. 14. A faux shearling-lined jacket to have you feeling like cozy cordu-royalty. 15. An opalescent statement necklace just begging to be paired with your go-to party dress. 16. Pretty lace tights to add a little texture to every look. 17. A professional-as-hell pleated blouse worthy of a Victorian heroine. Dorothea Brooke is shook. 18. A too-cute-for-words sweatshirt from the brand's Hello Kitty collaboration so even your coziest OOTDs will be anything but bow-ring. 19. A pleated metallic mini you can rock with heels and a blouse to a holiday party, then on the weekends with a sweatshirt. 20. Lace-up velvet booties sure to shoot to the top of your holiday wishlist faster than you changed your decorations on November 1. 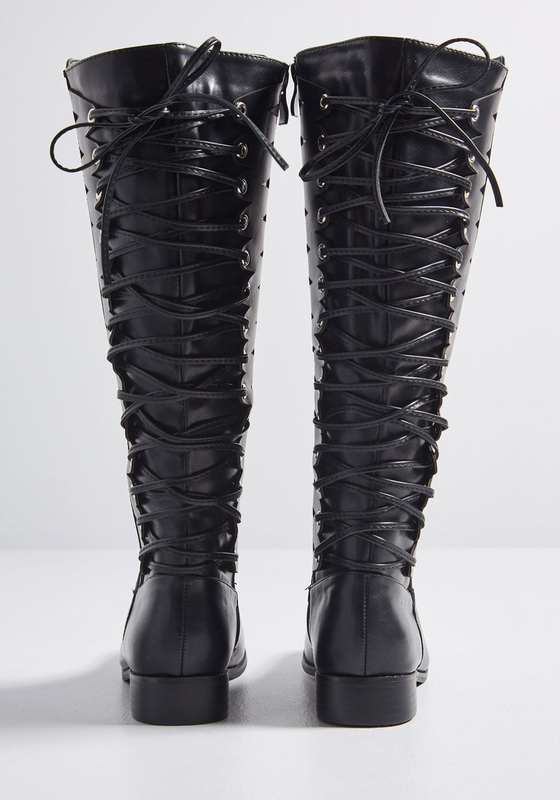 But don't worry, there's also a zipper on the side so you don't have to lace them up every time! 21. A rainbow-striped sweaterdress for anyone who finds themselves torn between the ease of wearing all neutrals and their unabashed love of fun colors. 22. A belted plaid coat so you can check "still look chic while bundled up" off you winter to-do list. 23. Corduroy bell bottoms for anyone who's got a flare for the dramatic. 24. And a sequined shift people at your office holiday party will be talking about for years to come.